This past Sunday LA Clippers star, Lou Williams, held his annual birthday party at Madame Tussaud’s Wax Museum in Los Angeles. This year Lou hosted a “Player’s Ball” themed celebration that gathered hundreds of celebrities, professional athletes, influencers and party goers donned in their best ‘player attire’. As guests made their way inside the renowned museum, they were greeted with crafted cocktails by D’usse Cognac and food. DJ Vision and Demi Lobo controlled the vibes for the evening, making sure everyone was on their feet all night long. Comedian and Actor DeRay Davis alongside LA’s own Miss Diddy, hosted the event, keeping the laughs at an all time high. Before the night was over, the pair joined Lou on stage to begin the awards ceremony. 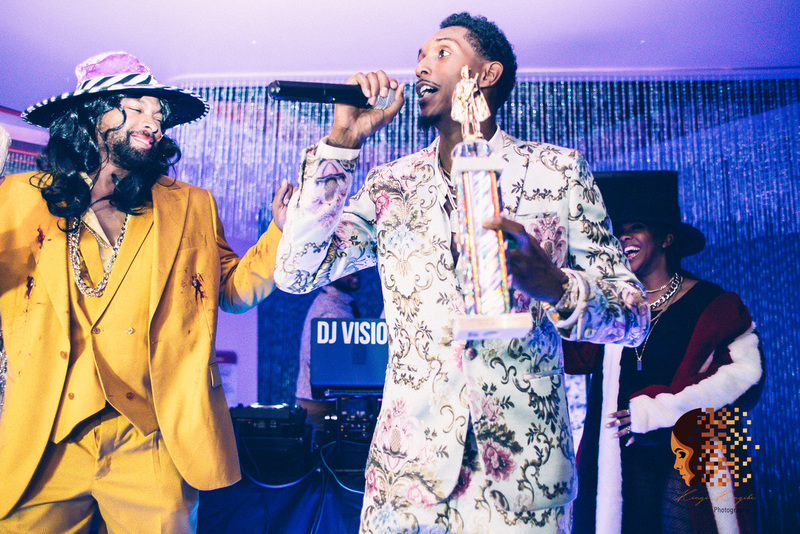 NBA Player Mike Scott received ‘Best Pimped Out Ride’, DeRay received the ‘Pimp Hand Strong’ award and of course, Lou took home ‘Player of The Year’, to name a few. Ethika also gifted guests with signature Lou Will gear from his new capsule collection. “I just want to thank everyone who came out to celebrate my birthday. Each year I want to elevate the experience and I think we did that with The Player’s Ball. Looking forward to what next year brings,” Lou stated. Notables in attendance include: Lou Williams, DeRay Davis, John Wall, Patrick Beverly, Tobias Harris, Mike Scott, Montrezl Harrell, Danillo Gallinari, Marcin Gortat, Tobias Harris, Jordan McRae, Shai Gilgeous-Alexander, Jerome Robinson, Johnathan Motley, Miracle Watts, Mehgan James, Brandy Davis, Sindarius Thornwell, Jawun Evans, Carol Rodriguez, Kris Lofton and many more. This event was planned and executed by Theory Communications.